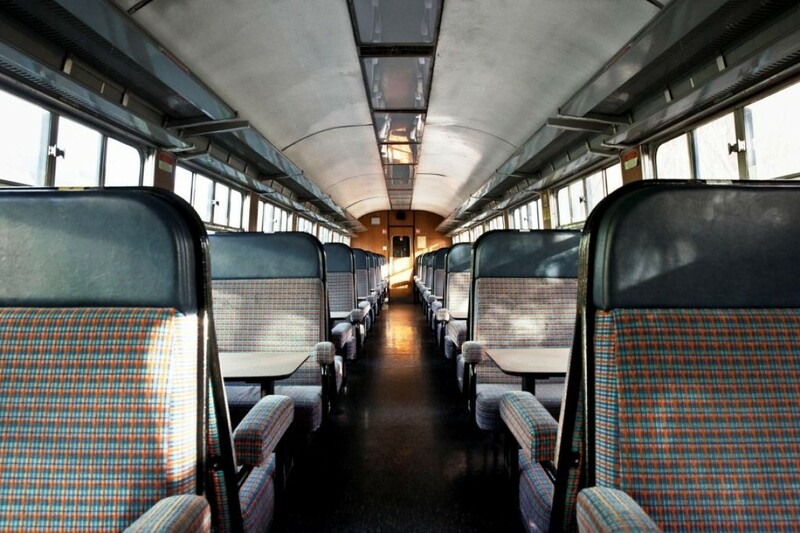 The Cravens carriages, known as such as they were supplied by Cravens of Sheffield, were a common feature of the Irish railway system from the 1960s right up until 2006. The product of a Â£500,000 contract, the initial plan was for seventy vehicles, but ultimately only fifty five were built. The first batch of ten, 1504 to 1513 (continuing on in the former GS&WR numbering system), were delivered more or less complete to Dublin port in 1963 and hauled to Inchicore for fitting out. Quite innovative for their time, they were the first Irish carriages to feature the newly developed B4 type bogie, which was being fitted to the then new BR Mk2 stock across the water at the time. The Cravens were also CIÉ's first carriages to incorporate integral construction. Another innovation was a sign that lit up to indicate if a toilet was occupied! Though the early batch was delivered in 1963, it would be 1964 before they entered traffic. 2nd April 1964 saw a press trip to Kildare and back, with the Irish Times correspondent noting their smooth ride quality, commenting that even at 65mph, "It was possible to balance an English three penny bit on its edge on the tables in the carriages." They entered public service on 10th April, working the 18:30 Dublin Kingsbridge (now Heuston) to Cork service. The following year they took part in speed trials on the Cork mainline with the contemporaneous GM B141 class locos. The second batch consisted of thirty vehicles, 1514 to 1543; these were supplied as kits of parts and completed in Inchicore in 1964, with the last fifteen (1544 to 1558) arriving as kits in 1967. 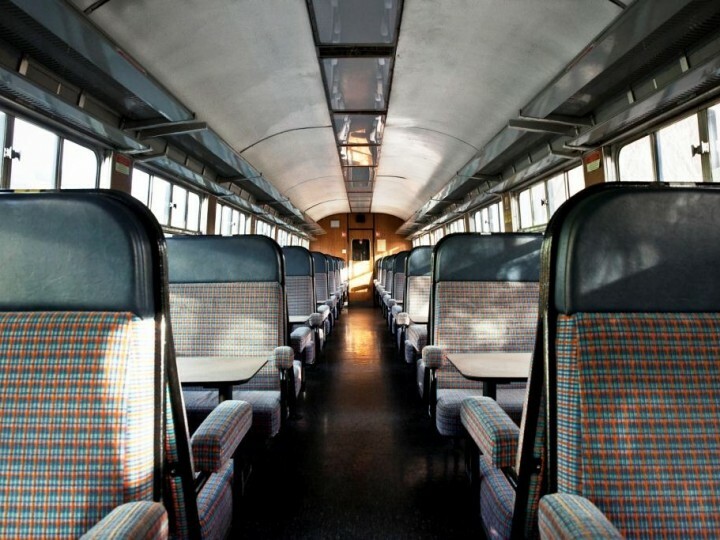 Over the following decades, the Cravens would see service on every route of the CIÉ passenger network, with special trains seeing them visit all corners of the surviving NIR network as well. 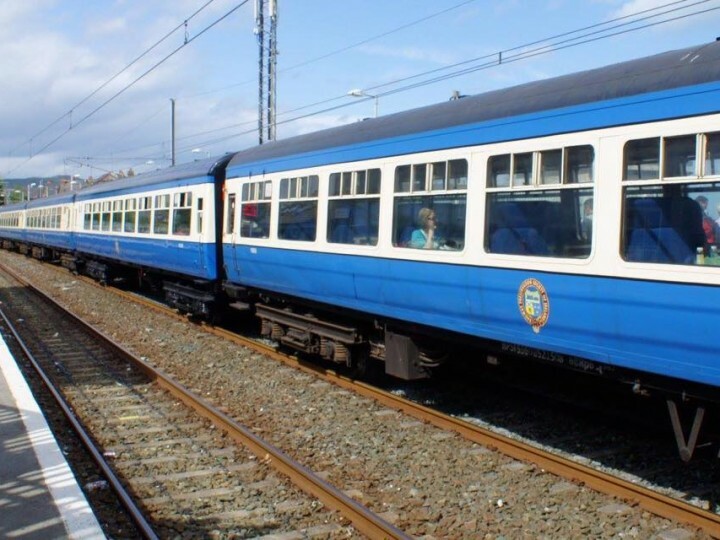 Starting off on top link expresses, as time passed they were gradually superseded by BREL designed Mk2d (1972) and Mk3 (1985) rolling stock, but still have found gainful employment on secondary routes, branch and suburban services. 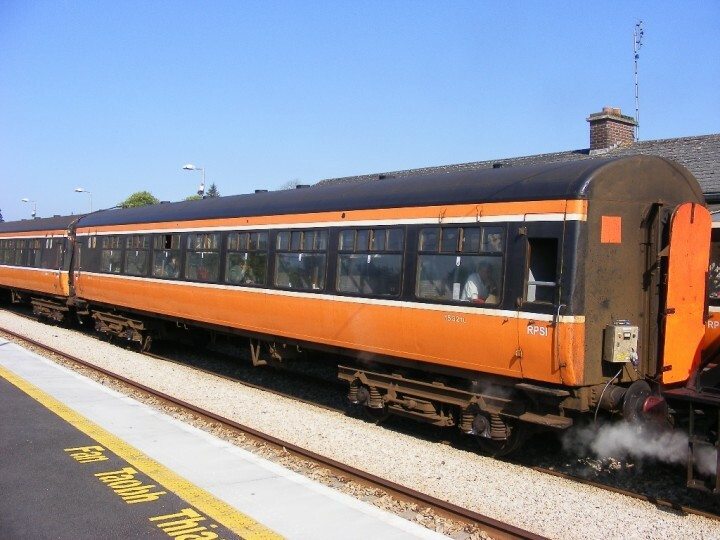 They were a common feature of Friday Only auxiliary services - well into the 2000s the Friday Only 17:05 Dublin Connolly-Sligo was regularly made up of no less than nine Cravens with a generator van at each end! If you think that's long, consider that GAA specials often called for twelve Cravens, again topped and tailed by a generator van. 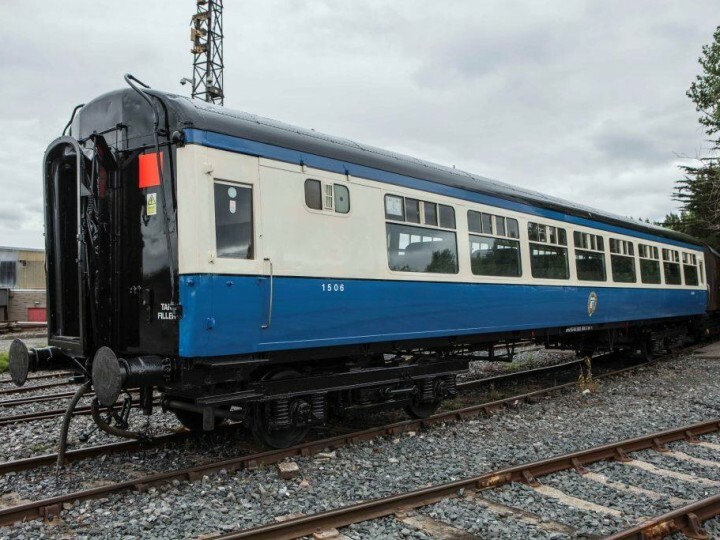 Recognising the usefulness of the carriages as a 'go anywhere' vehicle that would enable regular running on the Cork and Belfast lines once again, a group of RPSI members donated money towards the preservation of a set. 1529, 1539 and 1541 were preserved in 2006, operating with the Heritage set while some of their sisters were still in traffic with IÉ. 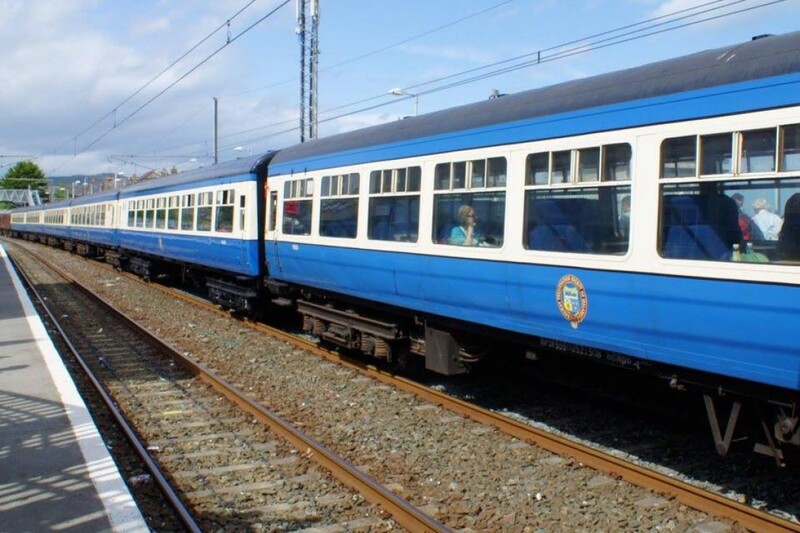 After the bulk of the fleet were withdrawn, a further seven were acquired in 2007, standards 1505, 1506, 1514, 1522, 1523 and 1532, snack car 1508, along with BR type generator vans 3173 and 3185. The Society's volunteers set to work on returning a full set to traffic, with 1505, 1508, 1523 and 1532 entering RPSI service on the "Dundalk 50" operation on 28th September 2008. 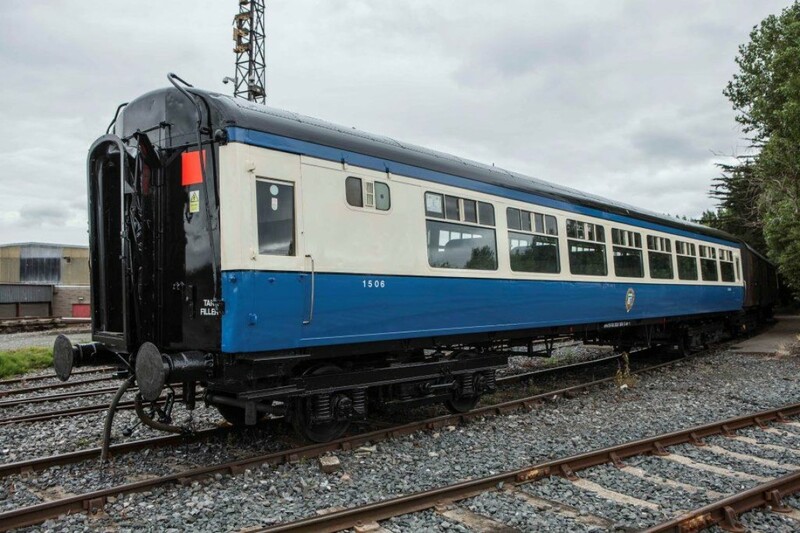 Vehicles 1514 and 1522 were gradually refurbished by volunteers at the Society's Mullingar base to provide bar and diner facilities respectively, with standard open 1506 being the last to return to service in December 2011. They've gone on to form the backbone of our Dublin operations, and have traversed almost all of the IÃ‰ system since preservation, from Santa specials to Maynooth to a luxury charter train all around Ireland. A fine comfortable coach equally at home behind a steam or diesel locomotive, they were arguably the last traditional Irish carriage design. In 2014 they co-celebrated 50 years of service with the RPSI's own Golden Jubilee. With the dedication of our volunteers they will no doubt continue to grace Irish rails during the RPSI's 100th year!